This building has been vacated and will be torn down soon. What are the developers doing in the meantime? (Hint, look at the lit up windows). It would be cool if they could sponsor my favourite small theatre company from the UK to hold a performance here before tearing it down. 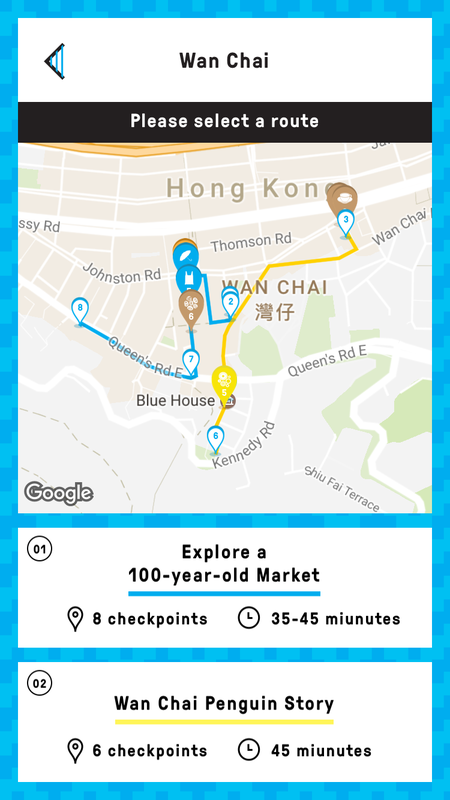 And, invite all the residents of Wan Chai and beyond to commemorate the loss of a yet another architectural icon in a truly special manner. By remembering it through an experience and a story. 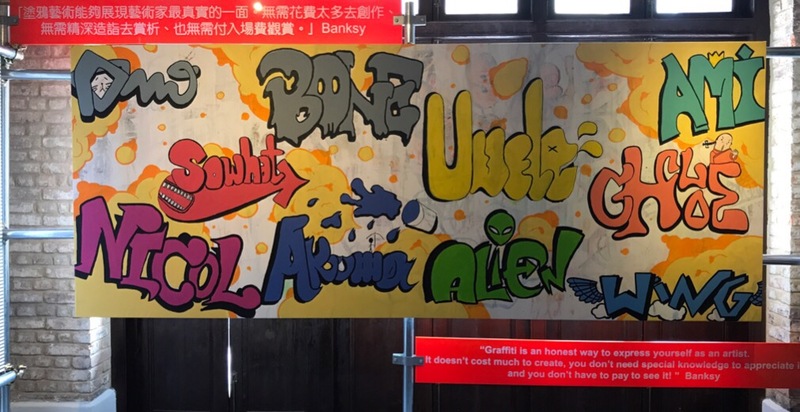 At the Comics Home Base 動漫基地 on Mallory Street, Urban Canvas has put up a booth along side an exhibition of artworks by children and teenagers from different school districts. 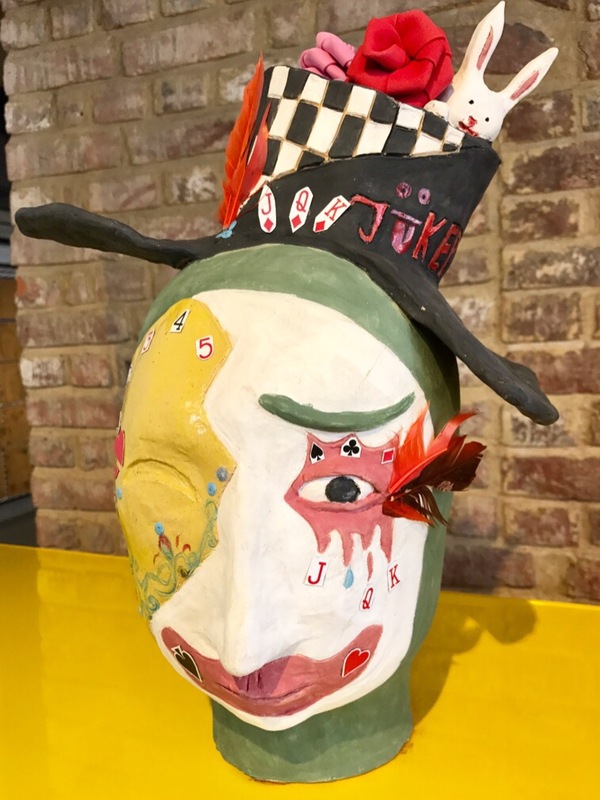 The resulting art is very interesting and provides an insight into what local kids are into and how they view their city. The opening installation is a large wall of graffiti with a quote from world famous graffiti artist Banksy. Nice one. Take a look at the more elegant graffiti around Wanchai. (It’s my personal collection, let me know if there are any nice ones I’ve missed). 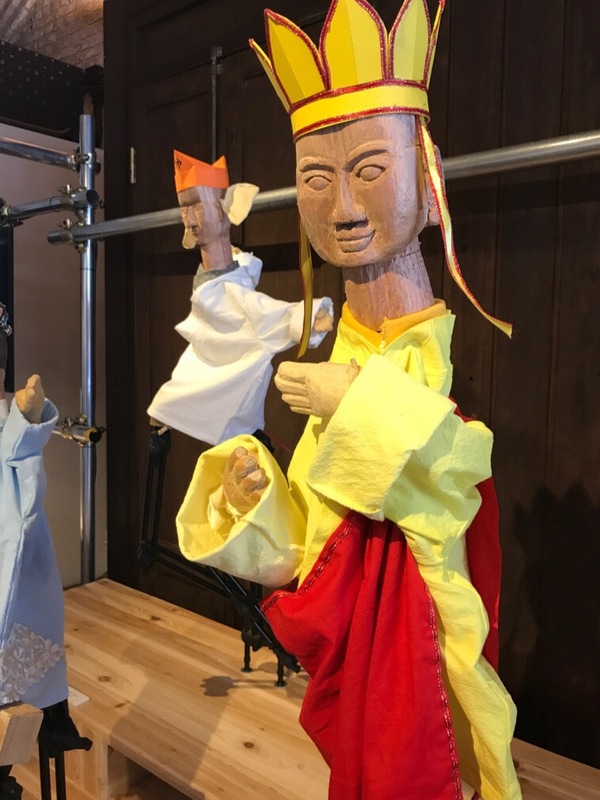 There’s one gallery space dedicated to Cantonese opera rod puppets. I’ve personally always found these to be somewhat freakish to look at but suppose they are essential to storytelling. Move over Jim Henson. Is this a demon? Evil monkey? 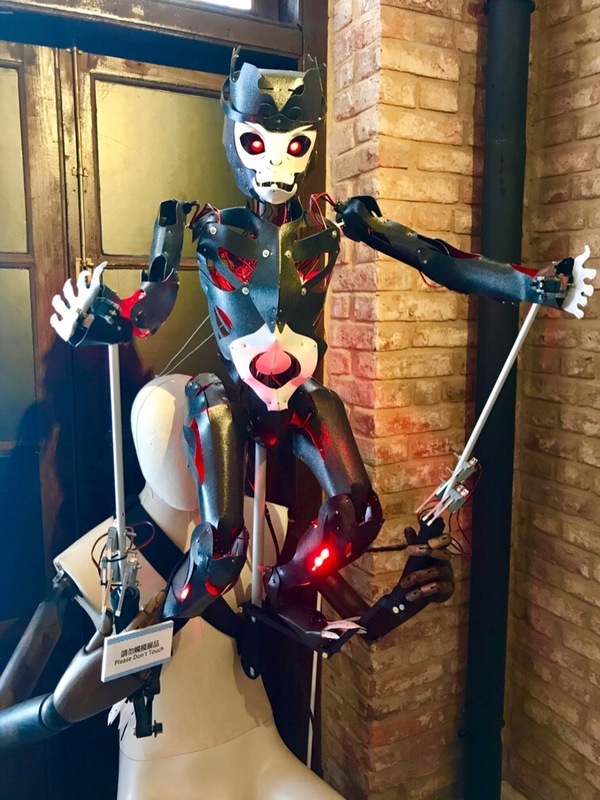 Sinister robot? 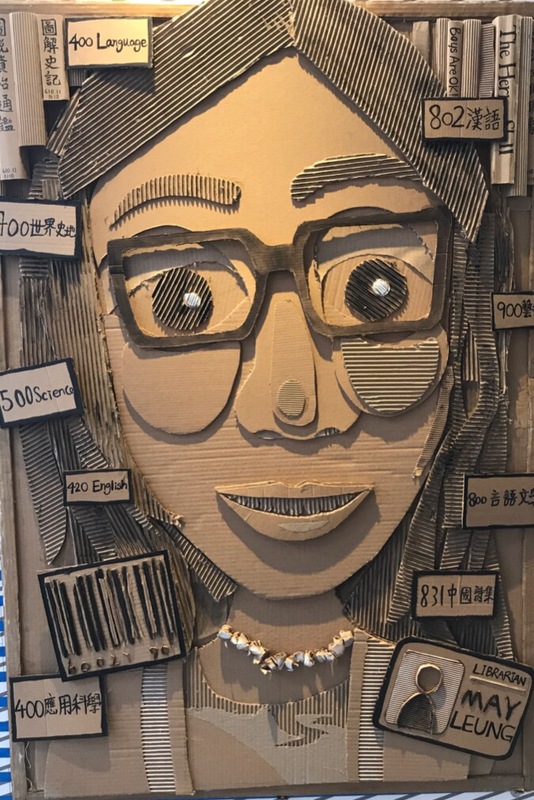 In another gallery, students used cardboard to shape life sized portraits using a lettering technique. I thought it showed the textures and reliefs beautifully. So simple yet it required careful measurements and cutting skills to get the shapes right. A great statement of versatility in an everyday packing material. 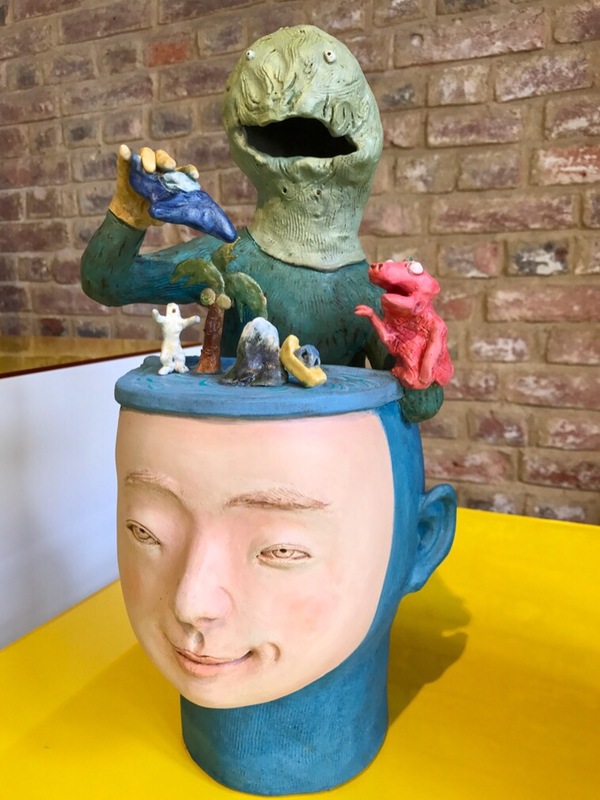 The next gallery featured clay work. 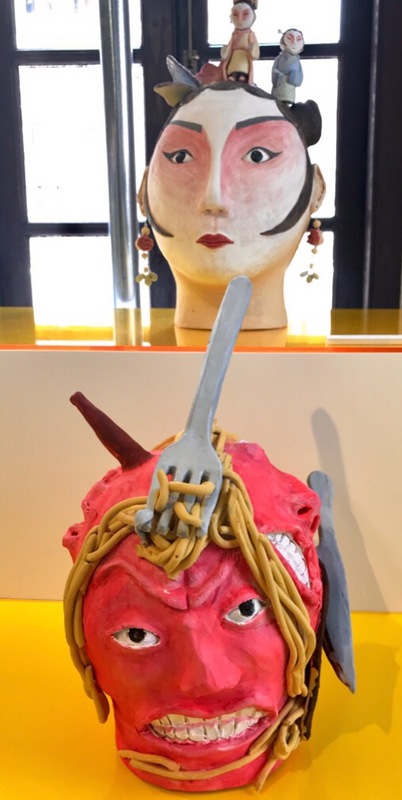 Students were given head models on which to depict a theme or storyline. None of these had titles so I’m making up my own. Harlequin or Alice in Wonderland? Global warming. The last island for the next generation. 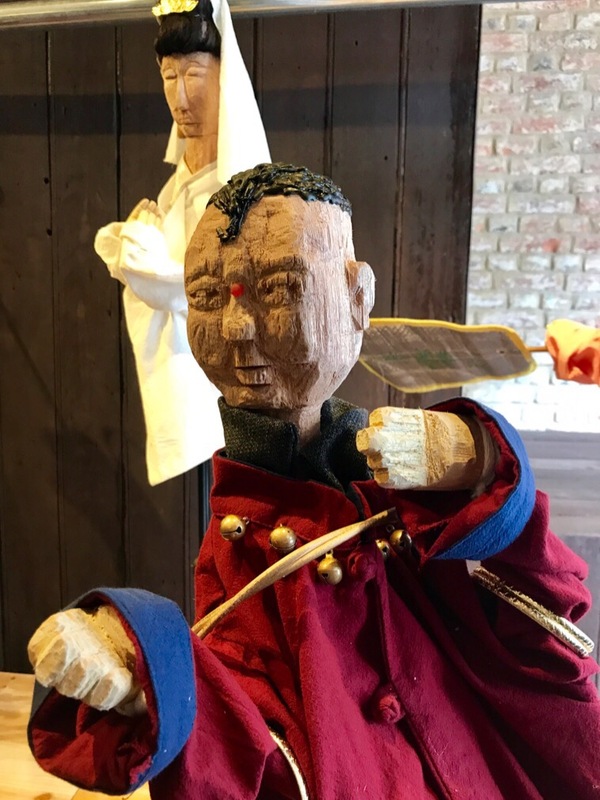 There are many more of these busts, some more twisted than these. I highly recommend you check them out. The final student artwork is of lampshades. 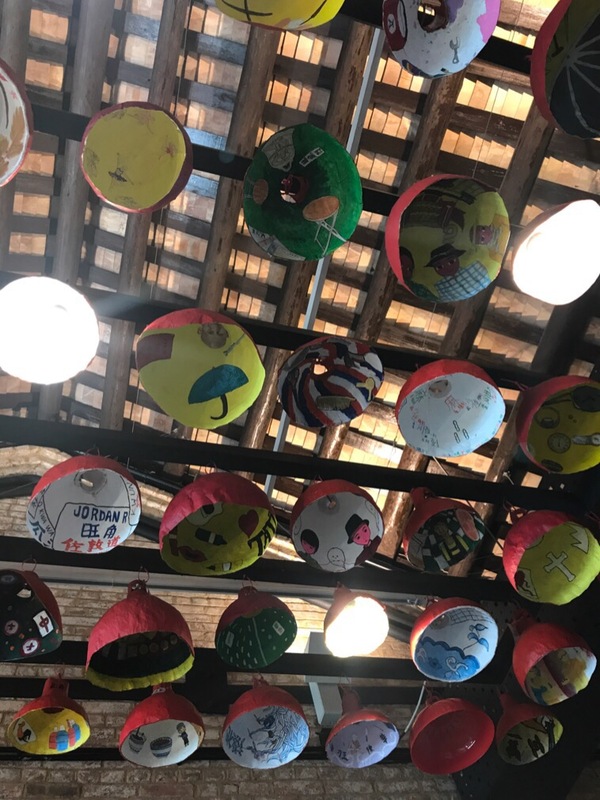 Each red lampshade (typically used in the markets), has a painted interior reflecting some aspect of Hong Kong. 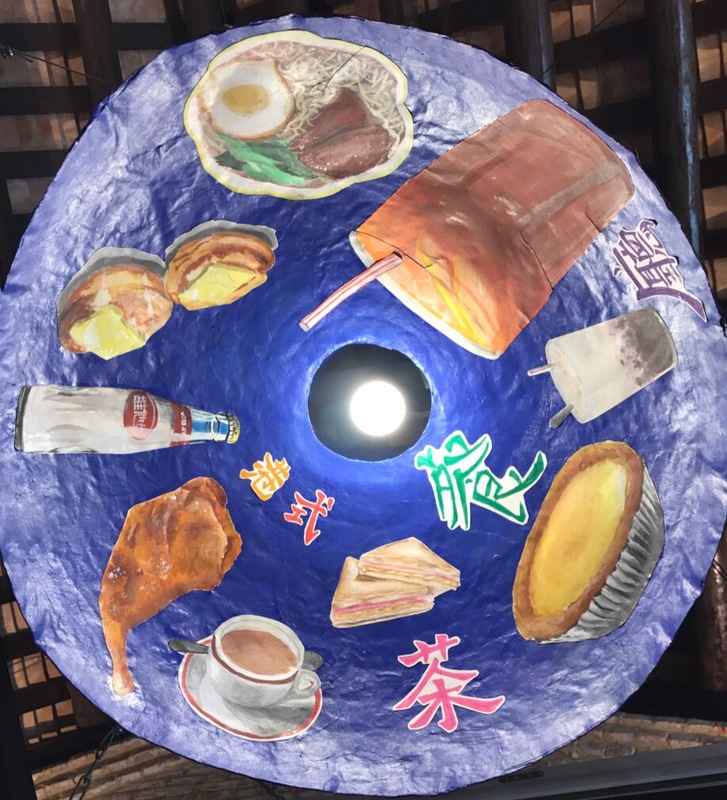 I really liked this one showcasing the typical constituents of a meal at a cha chaan teng (茶餐厅，local coffee shop). 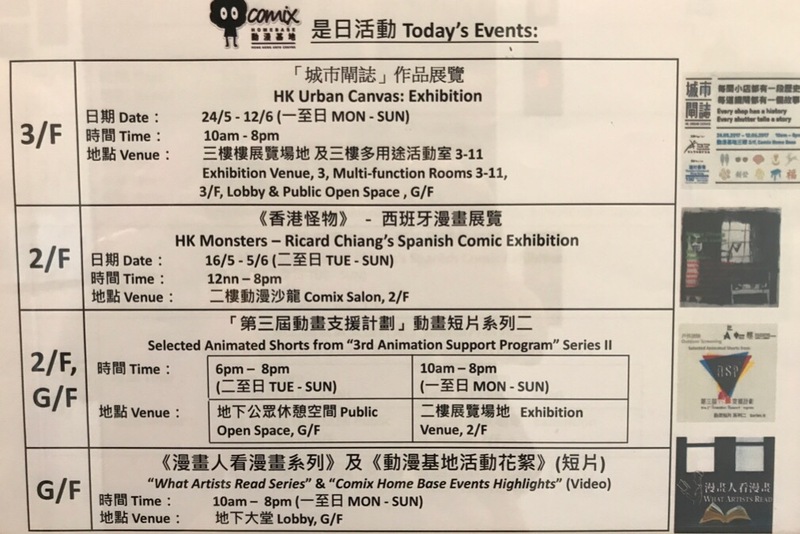 If you’re planning to be in Wanchai and would like to check it out, here are the exhibits and opening hours. The Urban Canvas exhibit is a small panelled display with photos of the collaborators. There’s a short clip with the artists talking and explaining their conceptualisation of the project. There’s also a booth up with two staff to promote their app. I had already downloaded it earlier in the week but they can guide you if you need some help with that. If you show them that you’ve got the app, you get a free roll of tape. 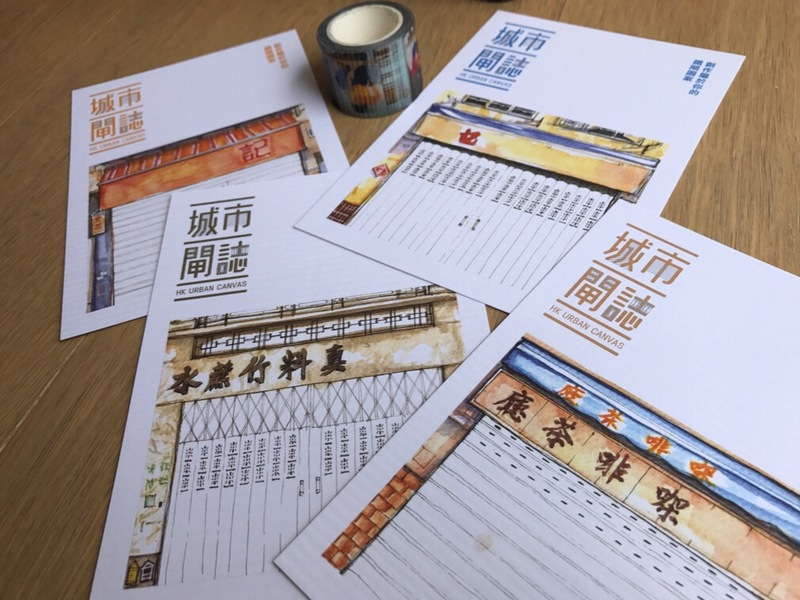 There are three to choose from, each with a unique design of an old Hong Kong profession or image. If you “like” their FB page, you get a set of 4 postcards to decorate your own stall shutters. Very thoughtful and creative. 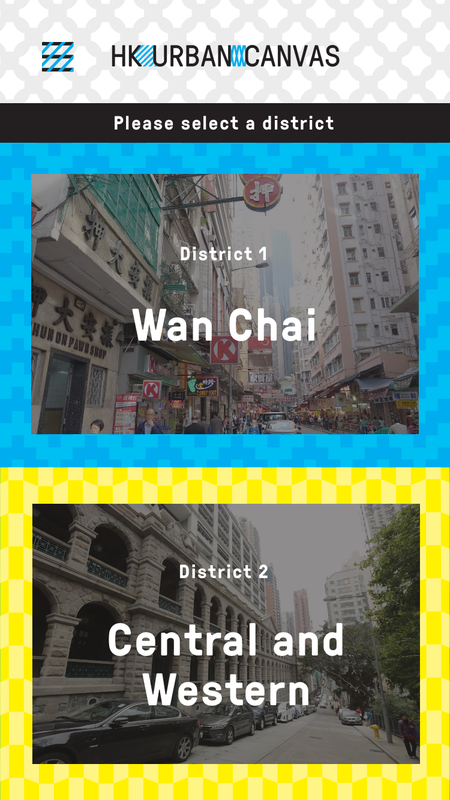 The Urban Canvas project promoted collaboration between the city’s young artists with old shops plying their trade around Wan Chai or Central. The artist gets to decorate the shutters of the shop with a graffiti style spray. The image reflects the shop’s trade, at least stylistically. It’s fun and it helps shop’s stand out when they are shut. Of course this means that you’ll need to go after office hours if you want to see it for yourself. After hours could be the best time of day to be on the streets anyway. Alternatively download the Urban Canvas app and see them all on your screen.